Aftermath from the Cocoanut Grove fire on Nov 28, 1942. 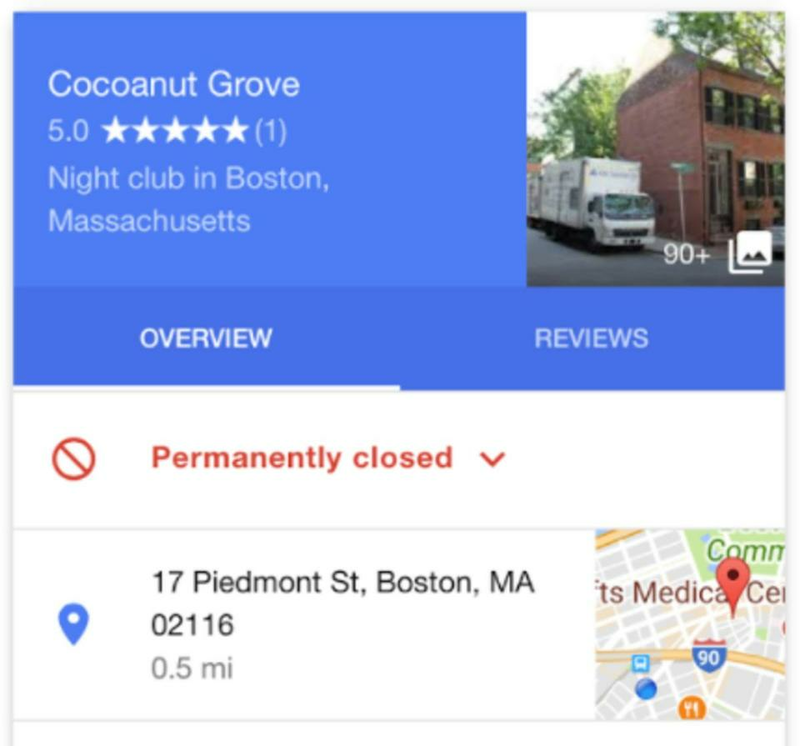 At first, it sounds like somebody’s idea of dark humor: Look up the Cocoanut Grove online, and you’ll find a Google Maps listing for the ill-fated Bay Village nightclub, as if the place had shut down just recently. “Permanently closed,” the listing says. That’s an understatement. But by literally putting the site on the map, an anonymous history buff has brought a little more visibility to an event that’s only modestly commemorated in the physical world. Seventy-five years ago, on Nov. 28, 1942, the Cocoanut Grove was packed with patrons when it caught fire. Nearly 500 died. Fire codes and medical practices changed as a result. To remind Bostonians of the deadliest disaster in the city’s history, there’s a only small plaque near the nightclub site, despite a grass-roots push for a memorial more in keeping with the scale of the tragedy. Last year, Boston Mayor Marty Walsh told the Globe’s Kevin Cullen that he supported a larger marker, perhaps in Statler Park, just around the corner from the nightclub’s former site. So far, it hasn’t happened. 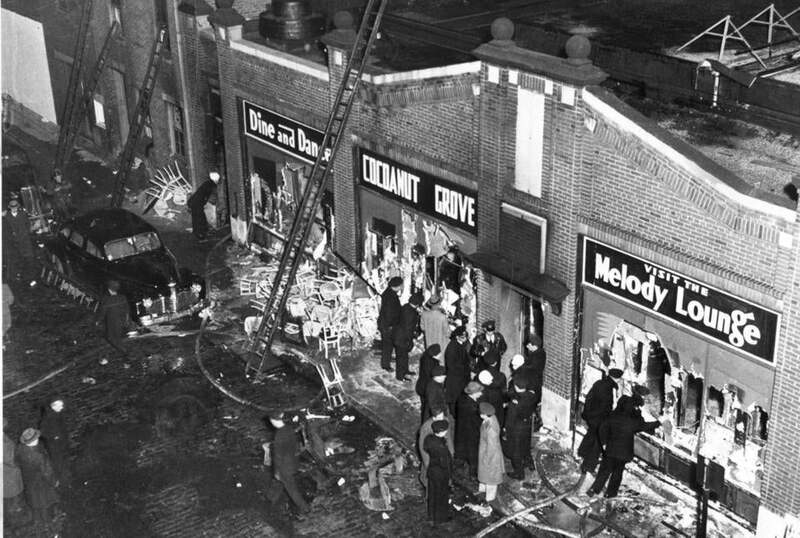 In the meantime, the Cocoanut Grove listing includes links to an informational website about the blaze and to photographs related to the site. Fortunately, you don’t need rich donors or City Hall’s support to lay down new markers in Google Maps. Anyone can do it.